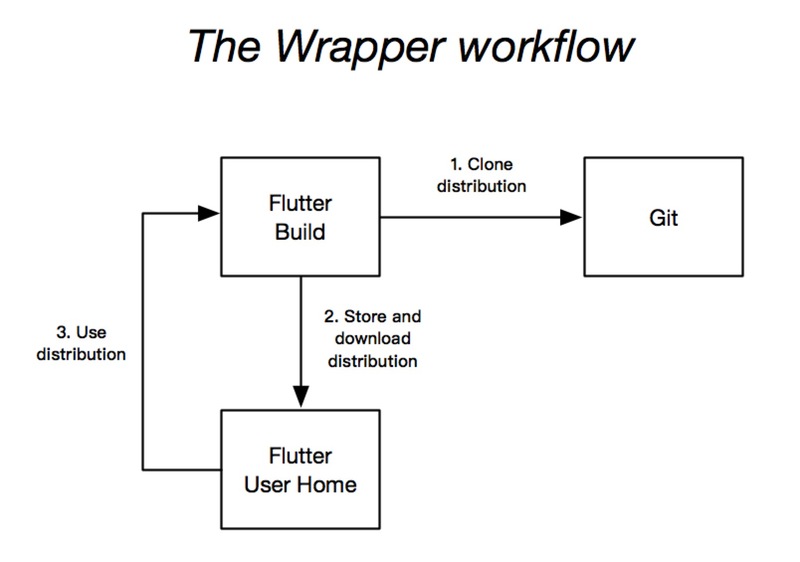 The Wrapper properties file, stores the information about the Flutter distribution. 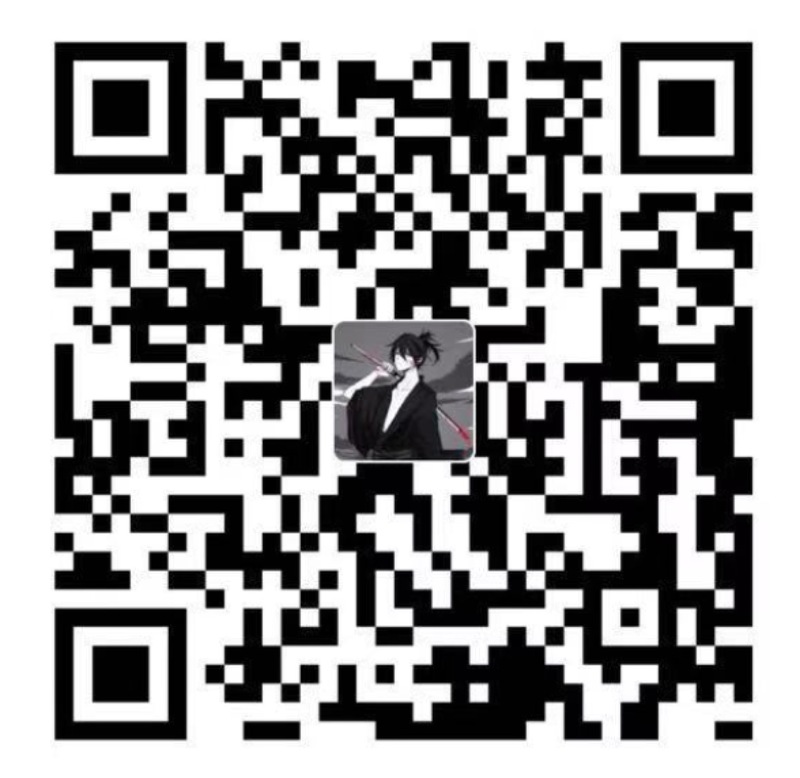 It contains the repository url and version of Flutter SDK. The Flutterw script file, a shell script and a Windows batch script for executing the build with the Wrapper. Generating the Wrapper files requires an installed version of the Flutter runtime on your machine as described in Installation. When using flutter create to create a new Flutter project. 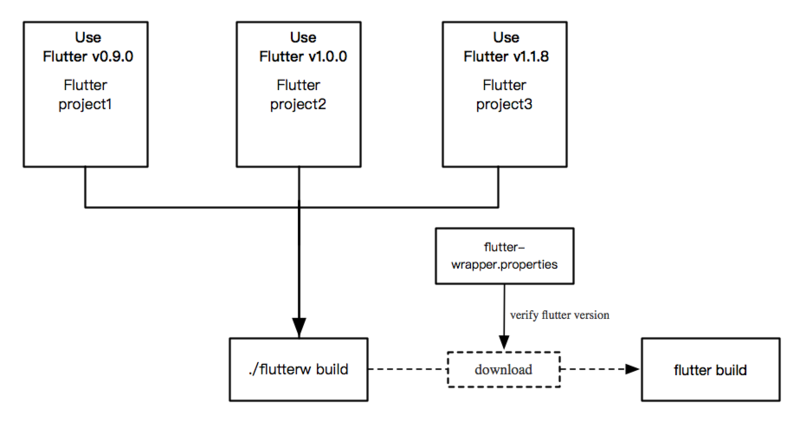 The Flutter project will include the Wrapper files automatically. Executing the wrapper command generates the necessary Wrapper files in the Flutter project directory. 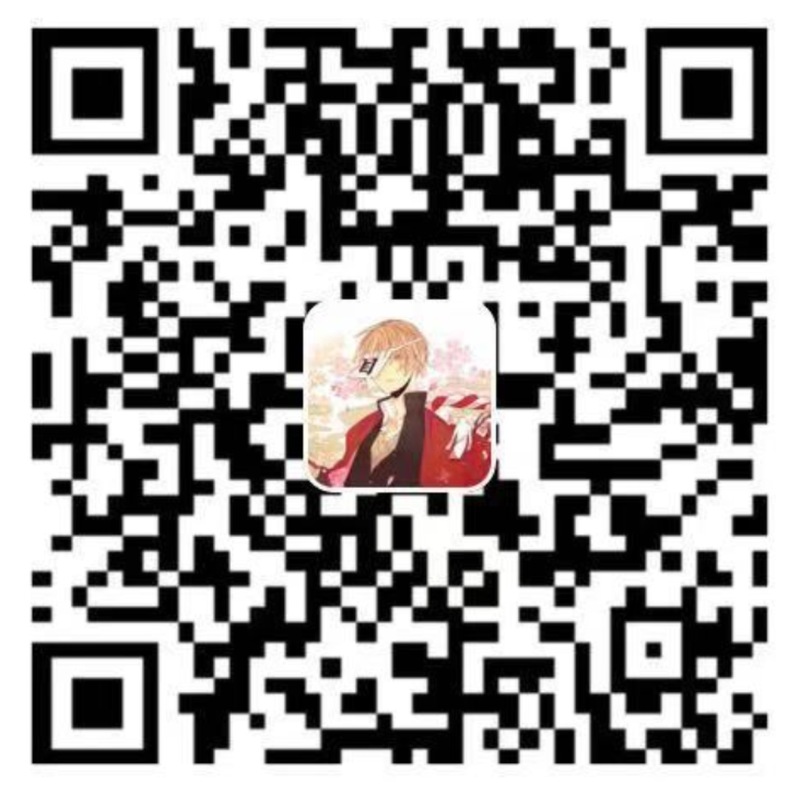 The Wrapper will download the required Flutter SDK version automatically. Using flutterw is almost the same as using flutter. Depending on the operating system you either run flutterw or flutterw.bat instead of the flutter command.